Top for bookcase frame. Fits on top of frame # 03-8622. 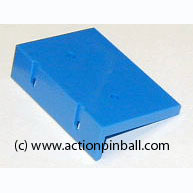 This is a recent reproduction part and is a slightly darker shade of blue than original part.